As many of us know diets do not work in the long run. Weight is often regained. 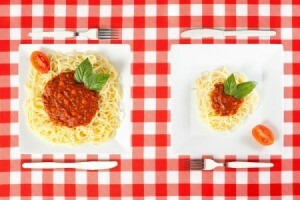 One easy way to reduce extra calories and lose weight or not gain it back is to pay attention to your portion sizes. They are typically too large. This page contains suggestions for controlling portion sizes. Everyone is different, and being over weight does seem to run in families. The best advice I can give for losing weight, is that diets don't work; losing weight is a lifestyle issue. Weight has to do with what you put in your mouth and how many calories you are able to burn. Some tips are: First, don't eat or drink anything called diet. Secondly, if you over-indulge don't punish yourself. Additionally, use 1 fist size for meats, 1 fist size for starchy, and 2 fist size for fruits and veggies. If your just dying for a piece of chocolate cake or chips eat some, but reduce the size of the portion. If prior to trying to lose weight, you would sit down and eat a bag of chips, now get a small bowl or plate and put a fist sized portion on the plate and eat that and don't go back for more. Using a smaller plate or bowl for meals also helps your mind think, your plate has plenty on it. This is especially helpful if you're the only one in the family watching your intake. Finally, have patience, it didn't take over night for you to put weight on, so it will take time to take it off. Good luck and happy eating. Hi, This is exactly the way I lost 65 lbs., smaller plate and smaller portions. worked for me. No more weight loss clinics for me. I have kept it off for 4 years now. It works. The portions we eat are too big most of the time, and our children's are also. We serve most things cut small, and say to come back for more, if you eat all the food from the first serving. We cut buns and keep them covered, so none of them go to waste. It's the polite way to show how to cut back, without making anyone feel bad. 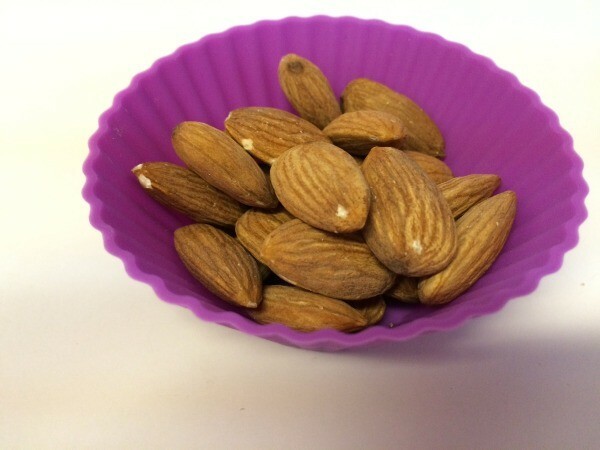 Muffin cups hold a portion of nuts or other snacks. This will help you control your weight. 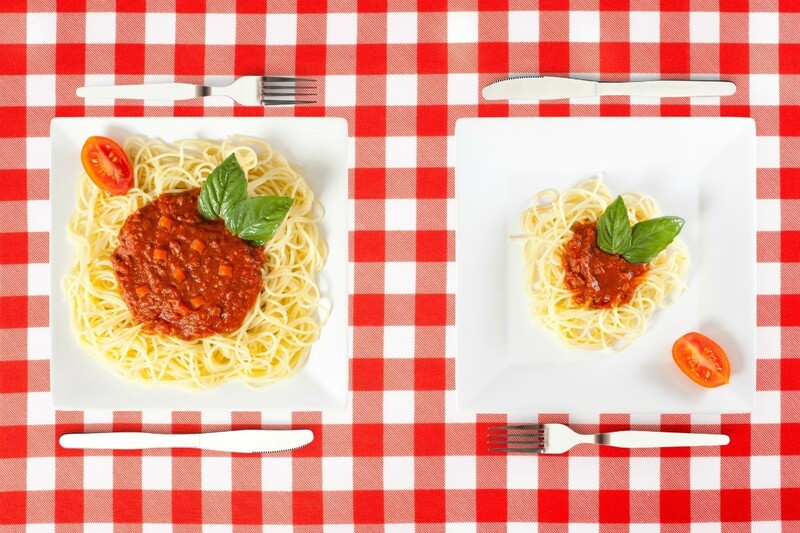 Archive: Do You Know Your Portion Sizes? Do you really know your portion sizes? Over the years, I seem to have developed a "super sized" mentality. I recently began measuring out food in what I thought were standard amounts. I found that my idea of a pound of hamburger is really closer to 1 1/2 pounds, and a "cup" (8 oz) of liquid turned out to be 12 oz! For the next few weeks, I will measure out everything to gain a proper perspective again. My budget and my waistline will thank me for it!